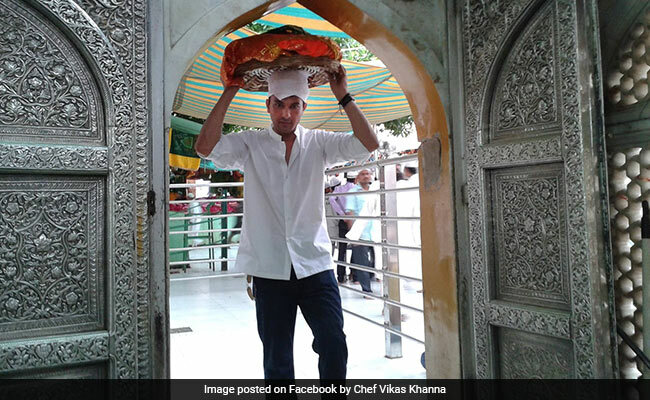 New Delhi: Every year since 1992, Chef Vikas Khanna has fasted for a day during the holy month of Ramadan to honour a Muslim family he credits with saving his life during the 1992 riots in Mumbai. Now, 26 years later, the New York-based celebrity chef says he's happy to have finally found the family he lost touch with. On Monday, he tweeted he was happy to have tracked down the family and would break his Ramadan fast with them. Last night, presumably after meeting and sharing an Iftar meal with the Mumbai family, Chef Khanna tweeted: "Heartwarming evening. All Heart. Tears. Pain. Pride. Courage. Humanity. Gratitude." Chef Khanna described what unfolded nearly three decades ago in a Facebook post in 2015: "I was training in the kitchen of SeaRock Sheraton, Mumbai in 1992 December when riots broke and whole city was under fire. We were stuck in the hotel for days." Elaborating in an interview to a TV channel last year, a clip of which went viral, Chef Khanna said because of curfews in place during the riots, no staff were able to leave or enter the hotel. One day, he heard a rumour that the situation in Mumbai's Ghatkopar was getting out of hand with many hurt as a result of the riots. Worried about the safety of his brother who lived there, the chef said he immediately rushed to Ghatkopar - despite not knowing his way around the city. On his way, a Muslim family warned him against rioters and took him in, he said in the interview. Soon, a mob descended upon their home and demanded to know who he was. "He's our son," the family told the mob, the chef recounted, and the group eventually left. For nearly two days, Chef Khanna said he slept on their floor. "I don't know who they were or where I was during that time," Chef Khanna recalled. The family sent a relative to find out about Chef Khanna's brother - who, fortunately, was found to be safe. "Since that year, I fast for one day during the Holy Month to thank them and keep them in my prayers," Chef Khanna wrote on Facebook. On June 11, the chef tweeted that he managed to track down the Good Samaritans. Nearly eighteen hours ago, he tweeted: "Heartwarming evening... Thank you everyone to connect me with my souls." The incredible reunion has struck a chord with many on social media. "Your life story is absolutely amazing... You are truly destiny's child," wrote one person. "This is real India," wrote another.